My sister Susan asked me to scan this book for her, so I did. Published in 1974, it's a tribute to Free to Be...You and Me feminism. 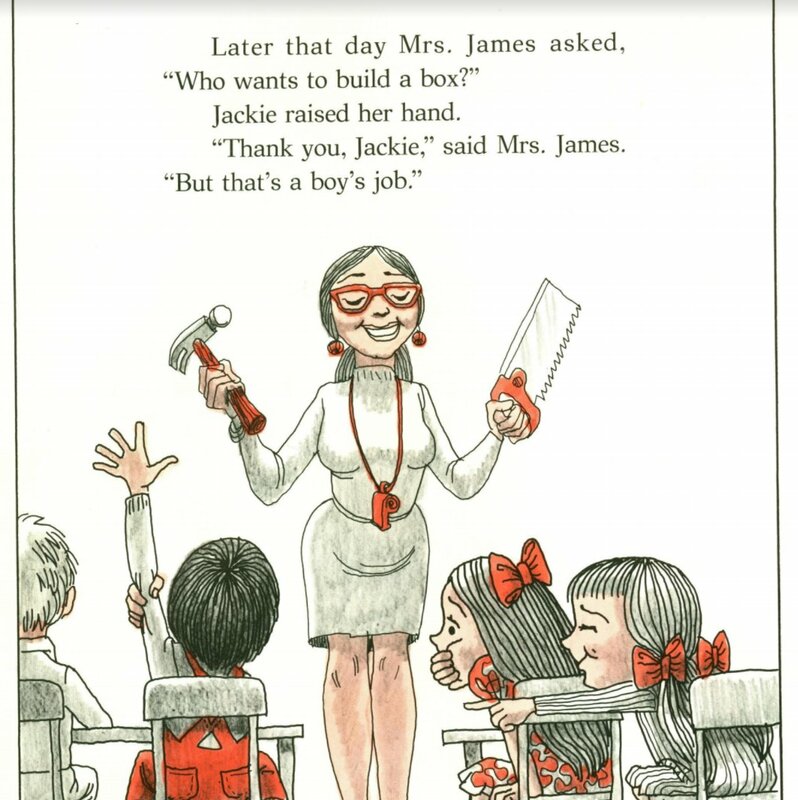 Jackie begins attending a new elementary school, and is judged by her classmates to be a boy because she wears overalls and wants to build a box. The sexpot-looking teacher reinforces the gender binary. Luckily for Jackie and Susie and all the rest of the 1970s, Jackie has supportive parents, and gender roles are smashed. 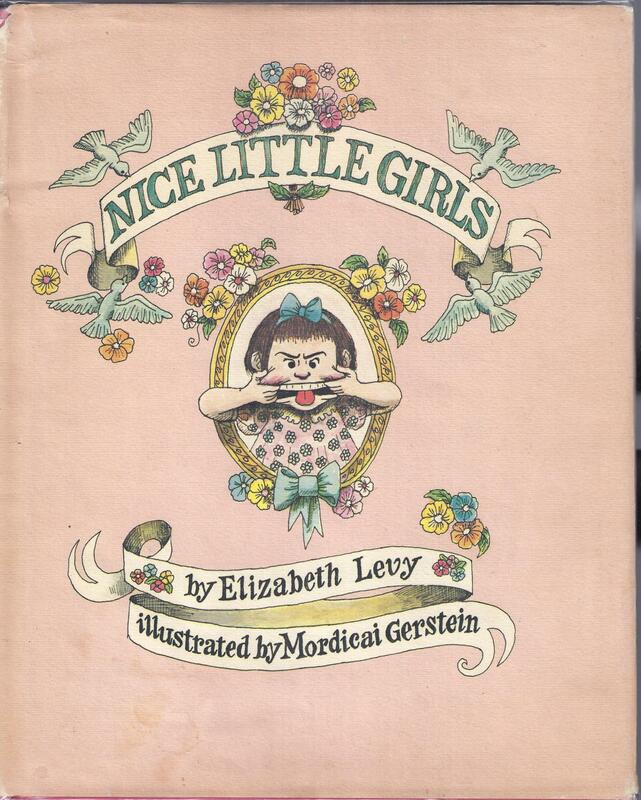 See my thread about Nice Little Girls on Twitter for further page images and commentary. @ me if you want a copy of the pdf.